Stuart Lasher is founder, chairman, and CEO of Quantum Capital Partners, Inc., a family office that invests in restaurants, retail, services, software communications and other industries. Quantum Capital Partners also provides due diligence, management, consulting and merger and acquisitions services. The investments are funded through the family office as well as strategic partners. Current investments of Quantum Capital Partners include: PDQ Southern Texas, Fitlife Foods, Positive Lifestyle International, and is an active board member of Life Time Fitness. 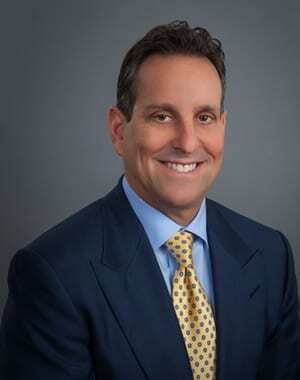 Mr. Lasher’s extensive experience includes involvement with Lifestyle Family Fitness from July 1999 to July 2012, serving as the served as the Chief Executive Officer and Chairman of the Board of Directors from September 2010 through July 2012. Lifestyle Family Fitness grew from 6 locations in 1999 to a 55-club fitness chain with more than 250,000 members. Lifestyle Family Fitness sold its locations to Lifetime Fitness and LA Fitness in November 2011 and July 2012, respectively. He co-founded and served as the Chief Executive Officer and Chairman of National Business Solutions, Inc. In August 1996, even after the acquisition of NBS by Paychex, Mr. Lasher remained the Chief Executive Officer of the Paychex PEO division until June 1997. From 1986 to 1989, he was the Chief Financial Officer and a Member of the Board of Directors of Silk Greenhouse, Inc. As the Chief Financial Officer, he completed a venture capital financing in 1987, an initial public offering in 1988 and a secondary offering in 1989. He also negotiated a multi-million-dollar line of credit and oversaw finance, accounting, management information systems, shareholder relations, manufacturing and distribution. Mr. Lasher began his professional career at KPMG Peat Marwick in 1980. During his tenure at the firm, he was responsible for audits in a variety of industries including manufacturing, retail and wholesale distribution, restaurants and service businesses. He assisted in many mergers, acquisitions and initial public offerings. He held numerous industry positions including the President of the Florida Association of Professional Employer Organizations. Stuart is a Florida State University graduate with degrees in finance and accounting, and is a licensed CPA by the State of Florida. He has also been awarded Ernst & Young Entrepreneur of the Year, Inc. Magazine- 57th fastest growing company, and St. Petersburg Chamber of Commerce Business of the Year.